I had intended for this post to go up last night but a little technical glitch (I reached the limit of Blogger's included photo storage space) threw a spanner in the works. All sorted now. 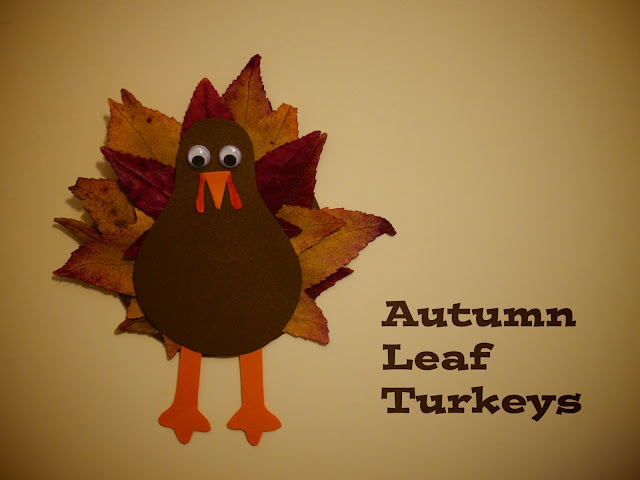 In the lead up to Thanksgiving our apartment seems to be full of Autumn leaves and turkeys. So I thought, why not combine the two in a fun craft project? Why not indeed! 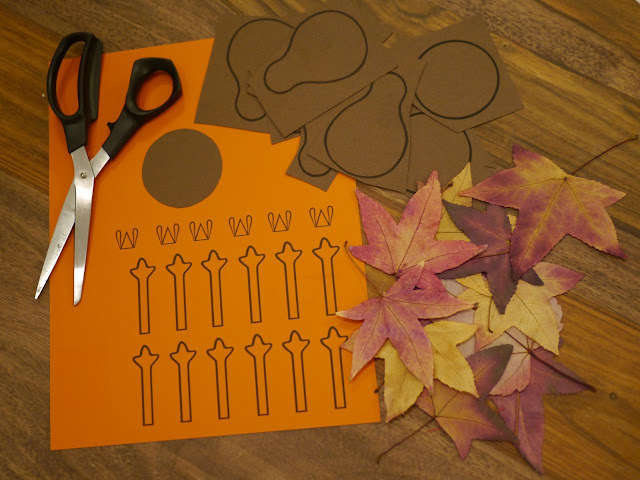 Ava has a five day weekend for Thanksgiving and the weather is pretty grey today so it's the perfect opportunity to work on another fun craft project: Autumn Leaf Turkeys. These are really simple to make and I think they're quite cute. You'll need to start by pressing and drying the leaves that you have collected. I did this by squishing the leaves in heavy books for at least a few days. I placed the leaves between pieces of baking paper to protect the pages of my books. 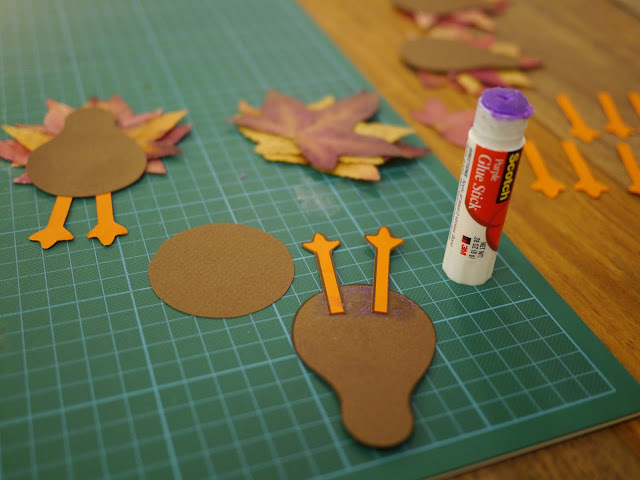 Print out the templates below onto coloured cardboard: brown for the base and body, orange for the legs and beak. Colour the dangly bits on the beak in red. It's easiest to do this before you cut them out. Cut out all the cardboard pieces. I find that nail scissors are best to use for the smaller shapes. 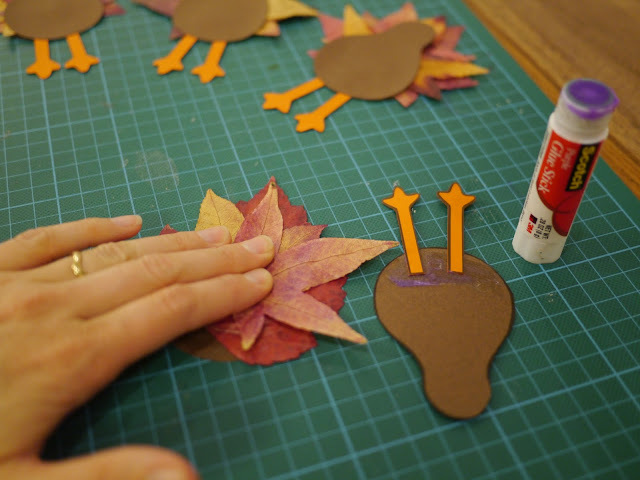 Once you have cut out all your shapes it's a good idea to assemble the turkeys before glueing them to get an idea of how you'd like them to look. It's best to start with a large leaf at the back and smaller ones on top. Now that you've worked out how you'd like your turkeys to look carefully put all the pieces to the side and start glueing. 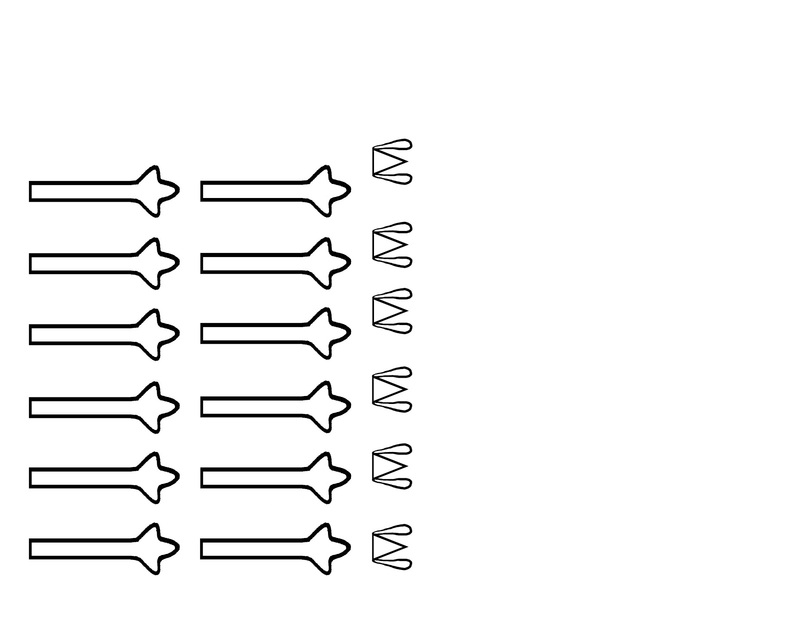 I started each turkey by glueing the legs onto the back of the body as per the picture below. Next up, cover the entire base (the brown circle) with glue. Position the largest leaf on the circle and press down carefully. Apply glue to the back of each of the smaller leaves and press them into place. I arranged my leaves so that the largest one was upright with the leaves on top on alternate angles. This gave the most even coverage. 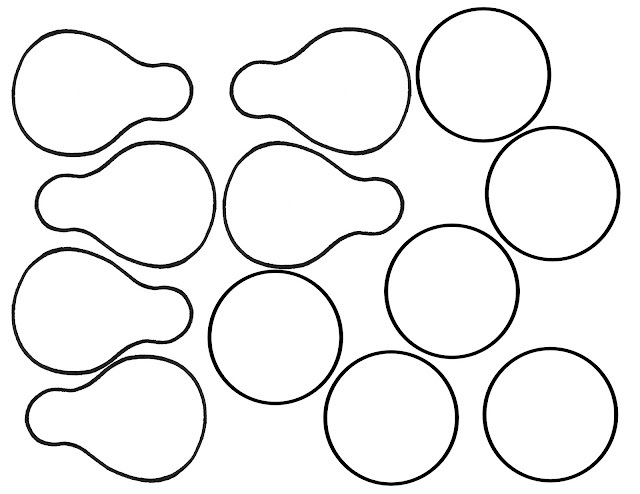 You'll need to play around with the positioning until your happy with how it looks. 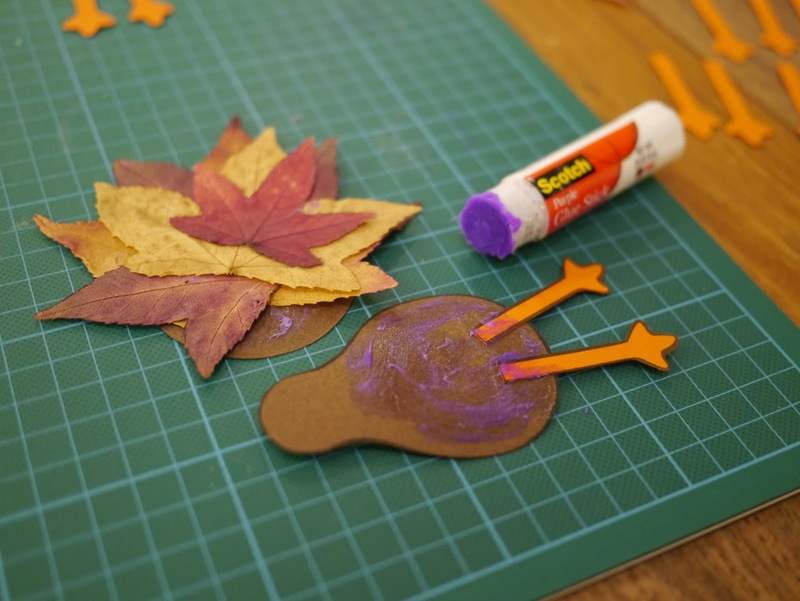 Once all of the leaves are stuck on to the base, cover the back of the body with glue. Position the turkey body over the top of the base and leaves and press down carefully. Now you can start adding the details. I originally planned on using goggly eyes on all my turkeys but I ran out. 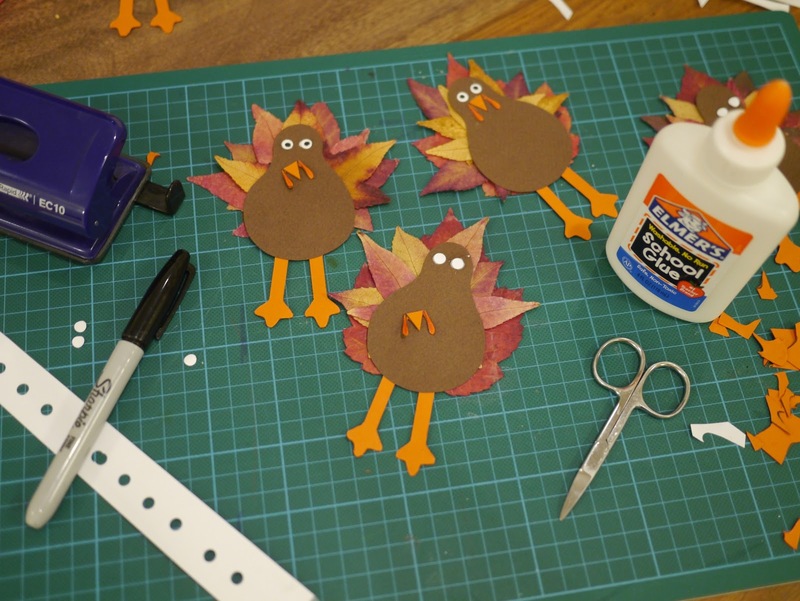 For the rest of the turkeys I made eyes with white cardboard, a hole punch and a black marker. I stuck the blank white eyes on with PVA glue and once the glue had dried I drew on black pupils. Without the black pupils the turkeys look creepy! 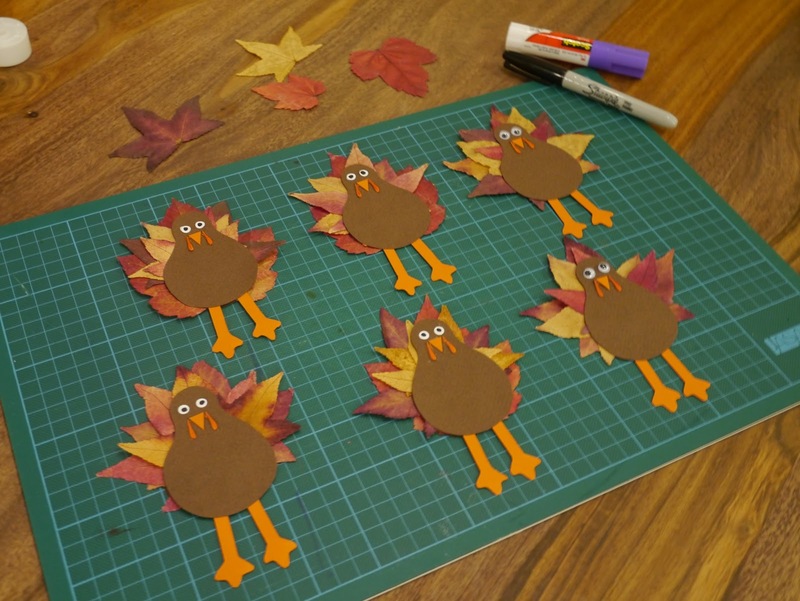 And there you go, Leaf Turkeys all done!